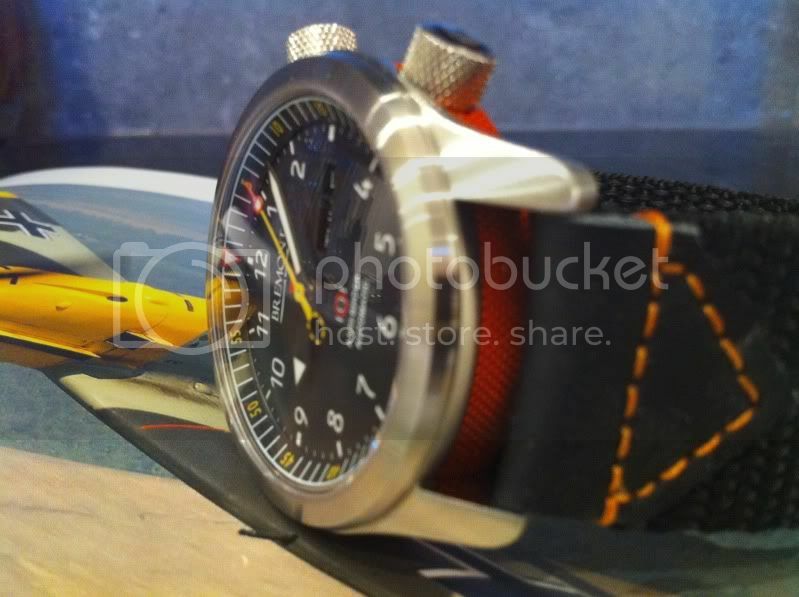 Bremont Martin Baker - The Review!! 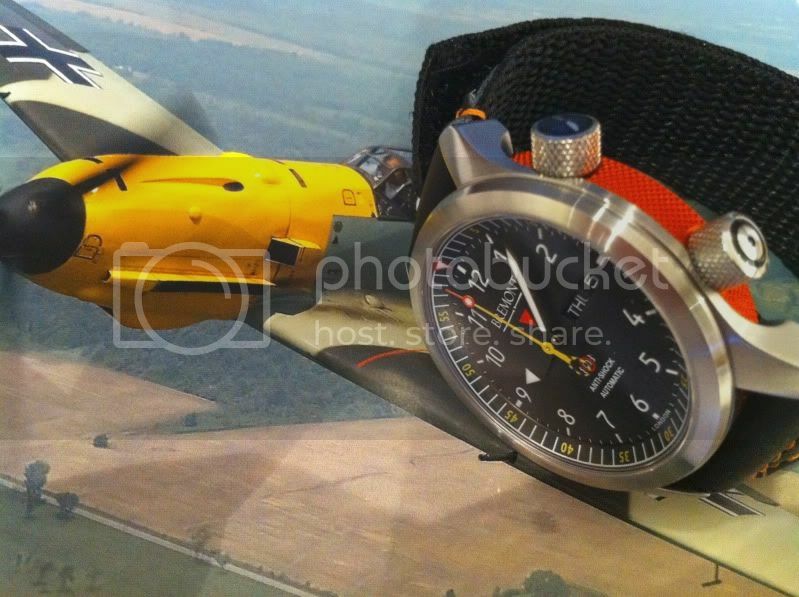 Thread: Bremont Martin Baker - The Review!! 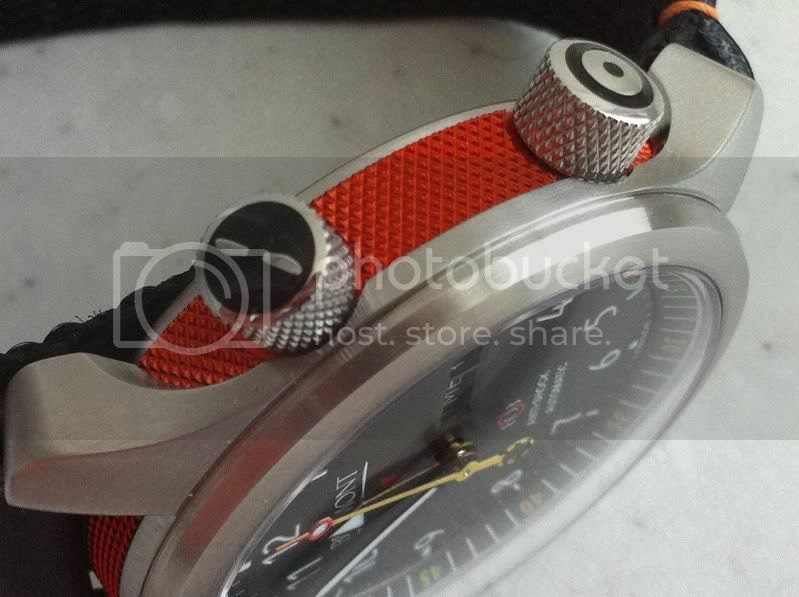 Straight out of the ejector seat and onto my wrist is this Bremont Martin Baker 1.5. A limited run of 20, produced for our host, ATG Vintage Watches, the 1.5 has the yellow seconds hand and yellow numerals on the internal bezel from the MB1, which is only available to those that have had the pleasure(?) of ejecting from an aircraft whilst seated in a Martin Baker ejector seat and surviving (presumably). Thankfully I didn't need to go through that to get hold of an MB1.5! As well as the yellow details mentioned (which moved the watch from a "maybe" to a "must have" for me), it has some nice engraving on the back and I'm looking forward to receiving the certificate of authenticity, confirming it to be one of the 20 made. The watch also comes in a rather smart leather wallet which makes a nice change from the bulky boxes cluttering up my flat! I had the choice of a green, orange or anthracite barrel, and was swithering between the comparative subtlety of the green or the brashness of the orange, and in the end the orange won (just). The build quality of the bits I can see and feel (the important bits for me) is exceptional. The case is finely crafted and design-wise a nice departure from the norm and the AR is superb (I believe they paint 9 layers onto the sapphire and then harden it!). I've owned a watch or two in my time and I know that this is well up there with the best of them. It's all pretty subjective, but I'd say it's knocking on the Rolex door in terms of fit and finish. What really sets the Bremont apart though, is a far more innovative case design than we've seen from Rolex, or any number of established manufacturers, in years, probably Deep Sea included. I love the "sandwich" effect of the case, with the barrel, and caseback almost hanging off the thin upper section that includes the bezel and lugs. Very different from the norm. Little touches like the propellers on the crown and the knurled crowns and anodised barrel just add to the fun! With regard to the bits I can't see, the movement is mounted in a faraday cage for anti-magnetic purposes, and this is then mounted within the shock-damping system designed in partnership with Martin Baker. There's been a lot said about what Bremont do or do not do to the movement. Only they know, all anyone else can do is speculate, and I'm not in the business of speculating, particularly when, frankly, I don't care. We can be reasonably comfortable that it's a chronometer-grade ETA movement with modifications. The extent of the modifications, and who does them, is up for debate if you can be bothered, but I'm not really fussed either way. If it keeps reasonable time, stays looking good and continues to feel like a well-crafted piece of wrist-furniture, I'm not overly concerned if it's powered by Richard Gere's gerbil running around inside it (as long as I don't have to feed the poor bugger). Value for money - It's been a hot topic, mainly based on the movement argument which, as mentioned, doesn't really interest me. When considering if I've got value for money I'm more interested in the innovative case design, the quality of construction, the accelerated life testing, salt-exposure testing and vibration testing at Martin Baker and the case-hardening process that has so far survived my usual ham-fisted-no-tape-using-strap-changing attempts! 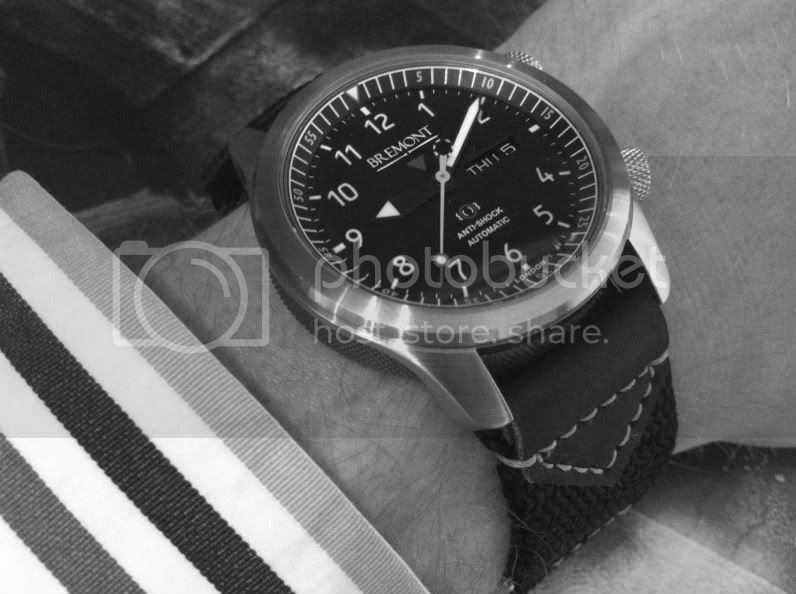 As well as all that, I'm quite happy to pay a premium in recognition of the £££ they've poured into turning Bremont into a strong independent British brand whilst also raising their profile above the level of being yet another obscure back-street watch maker, of which so many have popped up over the past few years. For all that, and the fact that I just like the watch enough not quibble whether maybe it should be £500-£600-£whatever cheaper (not many watches out there we couldn't say that about! ), it's worth its asking price. I really like what Bremont have produced here and I'm happy to put my money where my mouth is and support them.